The Picket House Furnishings Sedona Upholstered Queen Platform Bed is the simple, yet chic bed that your bedroom desperately needs! 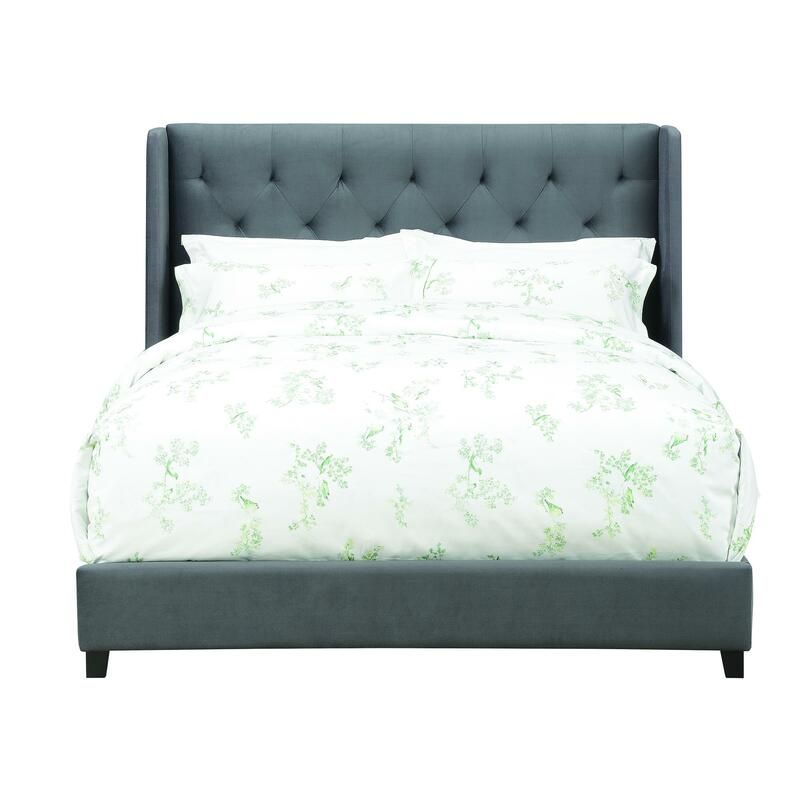 This bed features a button tufted, high profile headboard and a low profile footboard. 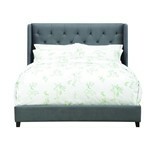 A wing back style headboard also adds flair to this upholstered queen bed. This platform bed comes equipped with euro slats, which means there is no need for a box spring; feel free to throw it out. The Sedona is upholstered in a smooth, microfiber like fabric; adding another layer of texture to your bed ensemble. Dark espresso wooden feet complete the look.